Murphy High School in Mobile, Alabama, is still in the process of rebuilding after last year’s Christmas Day tornado, but the students are moving forward. Eleventh graders Taylor Davies, left, and Natasha Ford, right, were among the journalism students that came to hear Mike and Mary Beth speak. 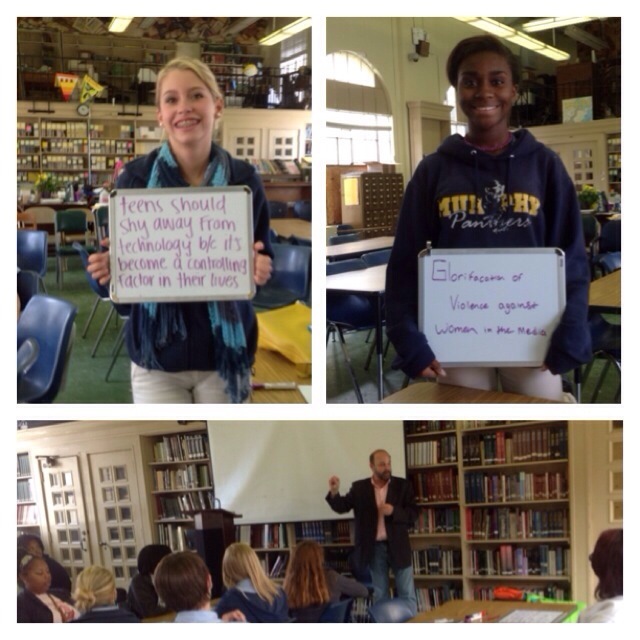 They shared what they want to use their First Amendment rights to speak about.